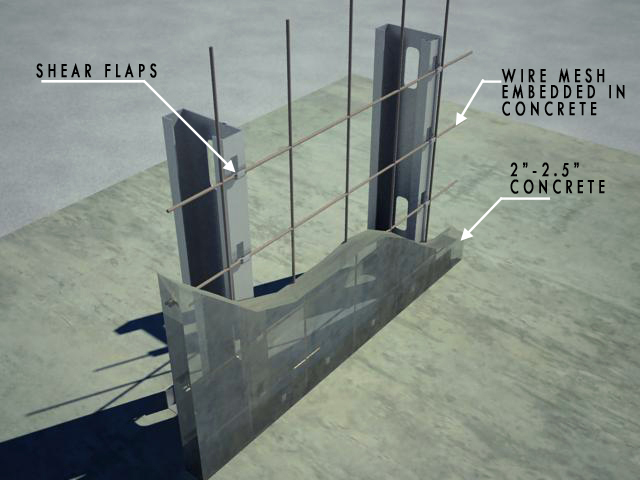 "I have been privileged to work with this system for several years now, and feel it is a great improvement on the tilt wall system.I am very experienced and knowledgeable in tilt wall design and construction, having engineered over forty tilt wall buildings over a period of twenty-five years, and I believe that this system is superior in several ways..."
Conventional floor structural systems, such as wood truss framing and light gauge joist framing, use concrete as the floor surface. These systems are required to support the dead load of the concrete without using the concrete to add strength and stiffness to the floor. 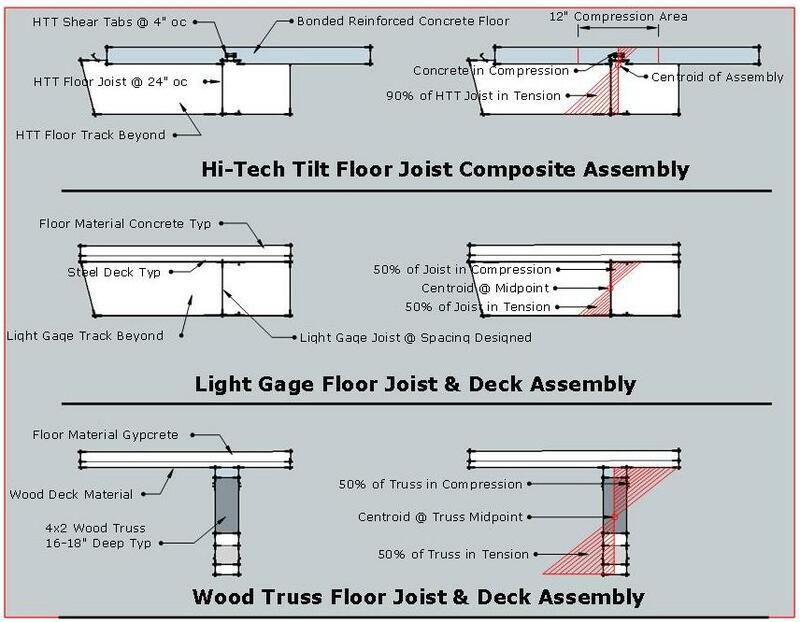 The Hi-Tech Tilt floor system uses composite light gauge framing members, which takes advantage of the concrete floor by using it to add strength and stiffness to the framing members. The result is a floor system that can span longer distances than conventional floor framing systems. By using composite light gauge framing members, the Hi-Tech Tilt floor system members have a 165% increase in strength and stiffness over identical non-composite members.